STATESVILLE, North Carolina (February 19, 2013) – – Officials from Statesville, North Carolina-based Bebida Beverage Company (BeBevCo.) confirmed today that they have reunited with FAS Lane Racing to become an associate sponsor on the team’s No. 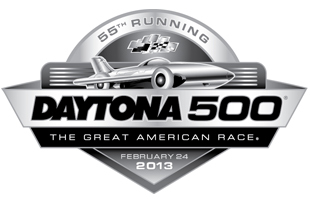 32 Ford Fusion for the 55th running of the Daytona 500. In 2011, KOMA Unwind partnered with the Frank Stoddard-owned team for the Pure Michigan 400 at Michigan International Speedway with veteran racer Ken Schrader behind the wheel. This weekend, KOMA Unwind returns to the Cup scene for their Daytona 500 debut with former two-time NASCAR Sprint Cup Series champion Terry Labonte at the helm. The team will promote the company’s quickly-growing and popular KOMA Unwind Relaxation Drink brand on their No. 32 Ford Fusion for “The Great American Race”. The event will mark the first race that KOMA Unwind has backed Labonte. The relaxation or “anti-energy” drink category is a fairly new to the beverage industry. This type of drink is dedicated to helping consumers achieve a level of relaxation without the use of pills or alcohol. With plans to have a healthy presence in Motorsports this season, KOMA Unwind hopes to continue feeding the flames of a “relaxation revolution” in a way to chill without a pill. Labonte, the Corpus Christi, Texas native is poised to make his 31st start in the Daytona 500. His best finish in the “Super Bowl of Stock Car” racing is second, achieved three times during his astounding Cup career. The 22-time NASCAR Sprint Cup Series winner will make his 882nd career start at the 2.5-mile speedway. The two-time Sprint Cup champion will rewrite the record books in the season-opener surpassing former rival Bill Elliott for the most starts at Daytona (Fla.) International Speedway. Currently, the two are tied at 60 starts a piece, but Labonte will inherit sole possession of that statistic once the green flag drops. The Daytona 500 (200 laps / 500 miles) is set for Sunday, February 24th with the green flag waiving shortly after 1:00 p.m., with live coverage on FOX, the Motor Racing Network (Radio) and SiriusXM NASCAR Radio (Satellite Radio, Channel 90). Pre-race coverage of the anticipated thriller is scheduled to lift off at 12:00 p.m., also on FOX.